Thus far, SPLT has protected over 25,000 acres in southeast Colorado, a biodiversity hotspot. One of SPLT’s preserves, Heartland Ranch, is larger than any one of Colorado’s state parks. Nicole received her Ph.D. from the University of Colorado at Boulder in 2002. Her dissertation focused on the Endangered Species Act and ways in which ecosystem protection and the precautionary principle have factored in the law’s legislative history. Over her career, Nicole worked to enforce the Endangered Species Act, first for the Biodiversity Legal Foundation and subsequently for a decade at WildEarth Guardians. 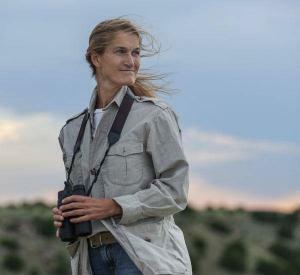 She has endeavored to protect more than 800 species over the course of her career but now focuses on SPLT’s private landownership approach to protecting the wildlife and plants native to the southern Great Plains.